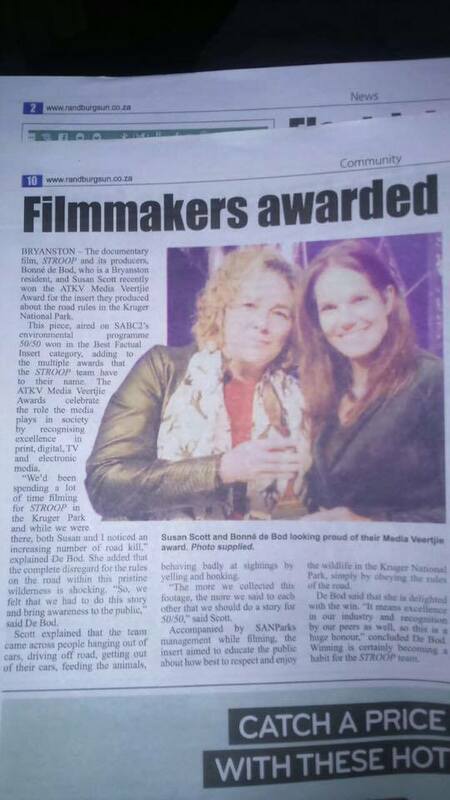 The STROOP film team have scooped yet another award. 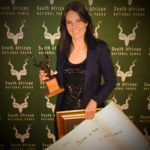 On Saturday evening, producers Bonné de Bod and Susan Scott won the ATKV Media Veertjie Award for the insert they produced about the road rules in the Kruger National Park. 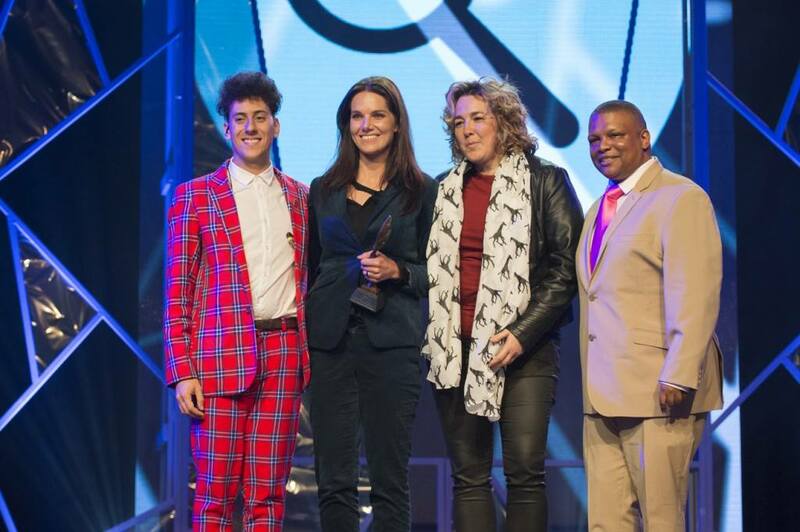 This piece, that aired on SABC 2’s environmental programme 50/50, won in the Best Factual Insert Category, adding to the multiple awards that the STROOP team have to their name. 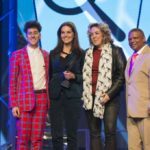 The ATKV Media Veertjie Awards celebrate the role the media play in society by recognising excellence in print, digital, TV and electronic media. “Over time, the STROOP team had come across people hanging out of their cars, driving off road, even getting out of their cars, feeding animals, behaving badly at sightings, firstly racing to them and then hogging them or being rude and even yelling and making noises! So while we were filming, we collected these little gems. The more we collected them, the more we kept saying to each other that we should do a story for 50|50 on it, to make the public aware” explained Susan. Accompanied and assisted by SANParks management while filming, the insert aimed to educate the public about how best to respect and enjoy the wildlife in the Kruger National Park, simply by obeying the rules of the roads. Delighted with the win, “A ‘Veertjie’ means excellence in our industry and recognition by our peers aswell, so this is a huge honour” concluded Bonné. Bonné and Susan are currently making the first Afrikaans (with English subtitles) feature documentary for cinema release on the rhino poaching crisis called ‘STROOP’ which is set for release later this year. They are covering all of the aspects around the rhino poaching crisis in a 90 minute film. Filming has been ongoing for the past 24 months and will be released internationally and locally in the build up to the 17th Conference of Parties (COP 17) to CITES (Convention on International Trade in Endangered Species of Wild Fauna and Flora) which is taking place in South Africa. They say success and failure have one thing in common: they are both habit forming. Winning is certainly becoming a habit for the STROOP team. Watch this space, there are sure to be more trophies to come.